In an age where so many are looking to extend healthy lives through dietary programmes, a remarkable but little known health code was given to Mormon prophet Joseph Smith in 1833. This has stood the test of time & is progressively being vindicated by modern science. The code, known as the Word of Wisdom, is remarkable in its detail & subtlety, bearing in mind that nutritional & medical science was still in its infancy when it was written. Among the provisions of the health code: no alcoholic drinks, no smoking or chewing of tobacco, and no “hot drinks” — believed to refer specifically to tea and coffee. “Wholesome herbs,” along with fruits and grains, are specifically recommended. Meat is to be used “sparingly.” The Church also interprets the misuse of drugs — illegal, legal, prescription or controlled — as a violation of the health code. In other areas of the code, avoiding idleness & being active is stressed. Arising early invigorates the mind & going to our beds early will help us avoid tiredness. Avoid contention as it has a negative impact on the mind. Even today, there are requirements laid down which have yet to be fully researched ie eating fruit & vegetables in the season thereof. 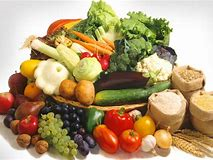 It may just have been that preservation was difficult in those days, perhaps valuable components such as vitamins diminish on storage or could it be that our bodies are finely tuned to make best use of these foods in their season. In an age of gluten avoidance regimes among those without coeliac problems, the code runs counter to the current fads, as it is given that, although all grains have value, wheat is best for man. Due to the age of this code, there is a lot of statistical evidence that adherence to this code is highly beneficial to leading a healthy & prolonged life.